Game of Thrones fans (and dragon scale lovers) rejoice! 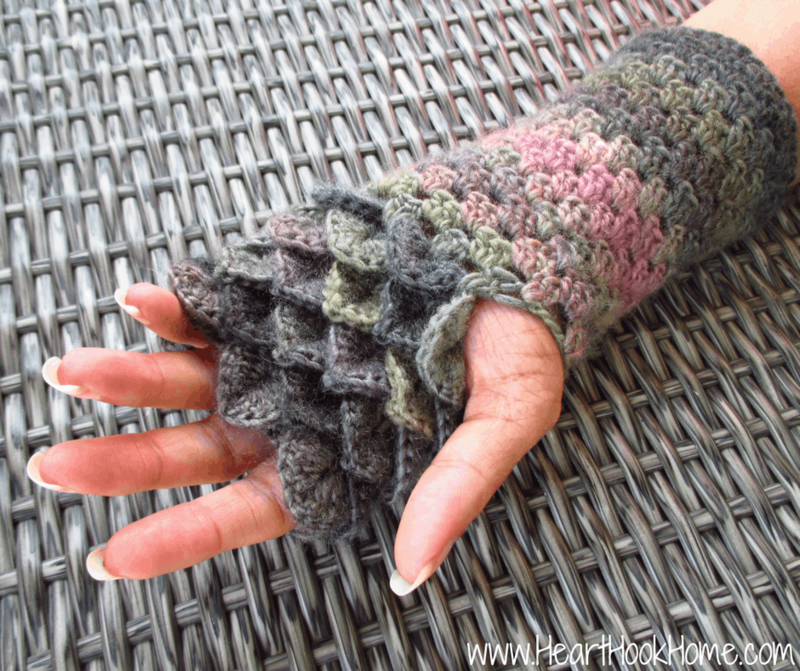 We have a BRAND NEW crochet pattern – the Dragon Tears Fingerless Gloves. How gorgeous are these?! In this pattern, I have included instructions for adult med/large, adult small, adult XL and child size. To get started on your very own pair, you’ll want to head on over to this page. If you’d like to be able to store the pattern in your Ravelry library, you’ll want to do so here. 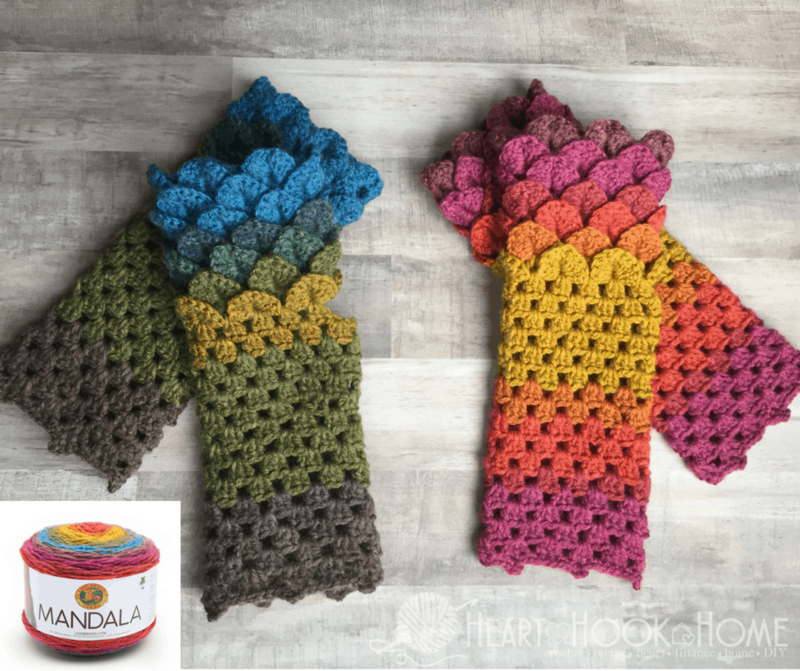 I also have a video tutorial for the Crocodile Stitch, and there is an instant PDF download after purchase, and I am always available in the Heart Hook Home Crochet Community on Facebook or via email should you have any questions! P.S. I used just ONE skein for the two gloves pictured below. I did control the colors, which is the Mandala from Lion Brand, in color: Chimera. Looking for more crochet? 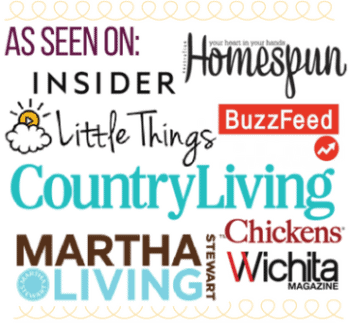 We have free patterns and yarn hacks too! 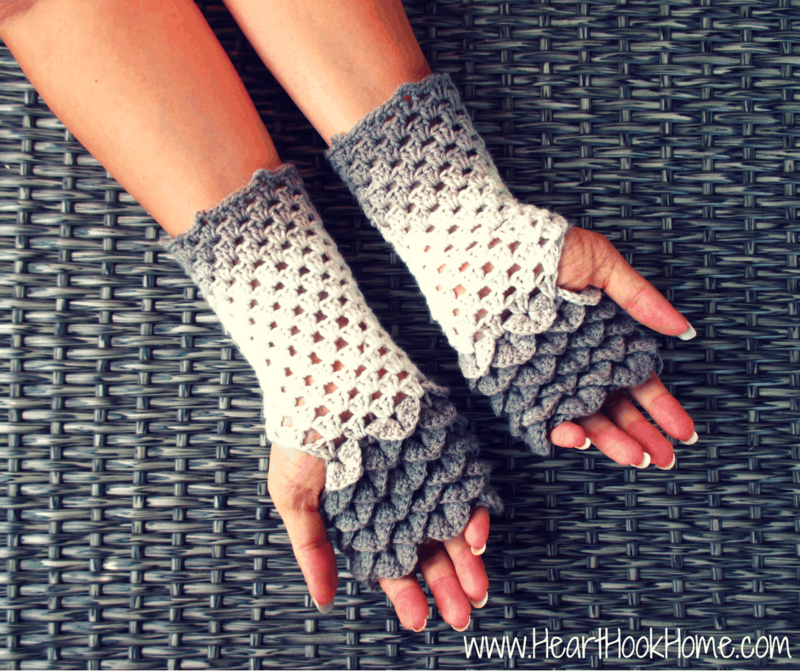 What is the yarn you used for the gray ,white, and black version of the gloves? 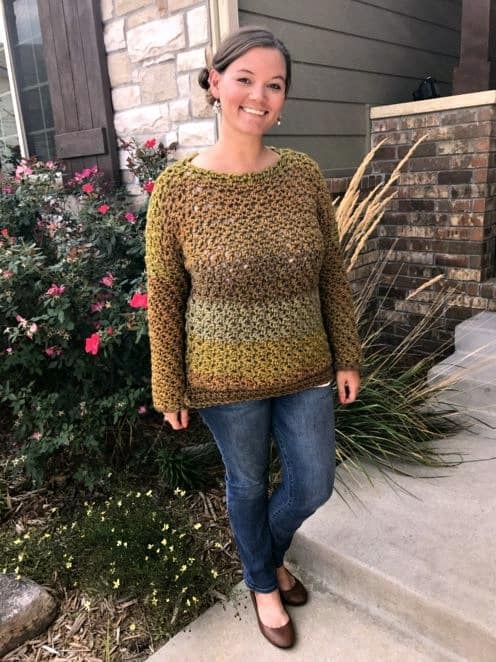 I purchased the pattern but the yarn I bought is to heavy for Texas I bought the sweet roll yarn. Hi Pat! That was Yarn Bee Sweet Delights Print in Grey Multi. I would likw to try this pattern with the wool you used in the second picture, the white and brown one? What's it called? I need help with the thumb hole. I’m a beginner at crochet. It says I should have 12 clusters after the 6 chain for thumb hole. Somehow I ended up with 14. Do you have a video I can watch for the first row of clusters? Do you have a version that does not have the scales on the palm of the glove? I recently bought your pattern and made my gloves (love, love,love by the way!) How did you not get a seam line running diagonally down the wrist part? Hello! I'd love to make these and thinking of getting the pattern, but I'm a beginner and wouldn't know how to "control the colour" like you say you do. Does the pattern explain how to do this? If not, would you be able to point me to a video that does explain how to? I purchased the pattern and pressed return to merchant but I cannot find anywhere to download the pattern. I have sent it to Wilma. Jodu have you emailed me? I can send it via email as a PDF. What kind of stitch did you use for these besides the crocodile stitch? Hi! It is the double crochet. Hi, I love this pattern. What is size 3 yarn? 3 ply yarn, less bulky than 4 ply worsted? Also, what size hooks are used? Thank you. Hi! I am currently making another pair using sock yarn (a little thinner than 3) and they are working up beautifully! I also use a G hook. How long would it take if I ordered a pair of fingerless gloves today for them to come? In time for Christmas? I need two pair in sizes small and medium. How do you like to be paid? Hi, I can't find the pattern to these gloves? Hello! Can you shoot me an email and I'll look into it? ashlea729@gmail.com, thank you! 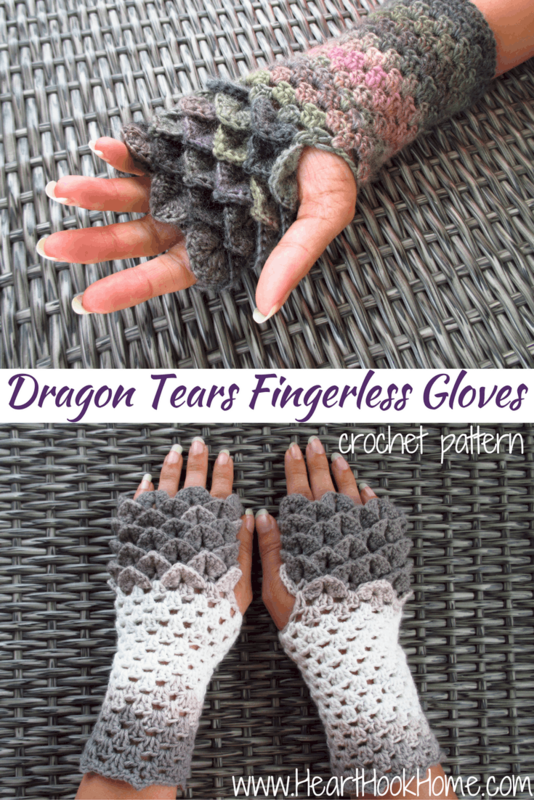 Do you have a dragon tears hat/scarf pattern? No, not yet! But that is an excellent idea. I'll get to work! Where i can find the download? Hello! I can do a pair for $25, plus shipping. Which ever is easiest for you I have a Ravelry. My email is nikkiandrus410@gmail.com and just let me know what you need for my Ravelry. Thanks!! Do you sell these gloves? I can, what size are you needing? Hello! I don’t have any emails from you in my inbox, just this comment at 3:00 am. Strange! But, I have sent you an email. We’ll get it sorted out. Thanks! Hmmm, the email I sent to you was returned as undeliverable. It starts with lindsithcarter, is that correct? Ah! Got it. Do you have a Ravelry account? I can send it to you there so it is in your library. 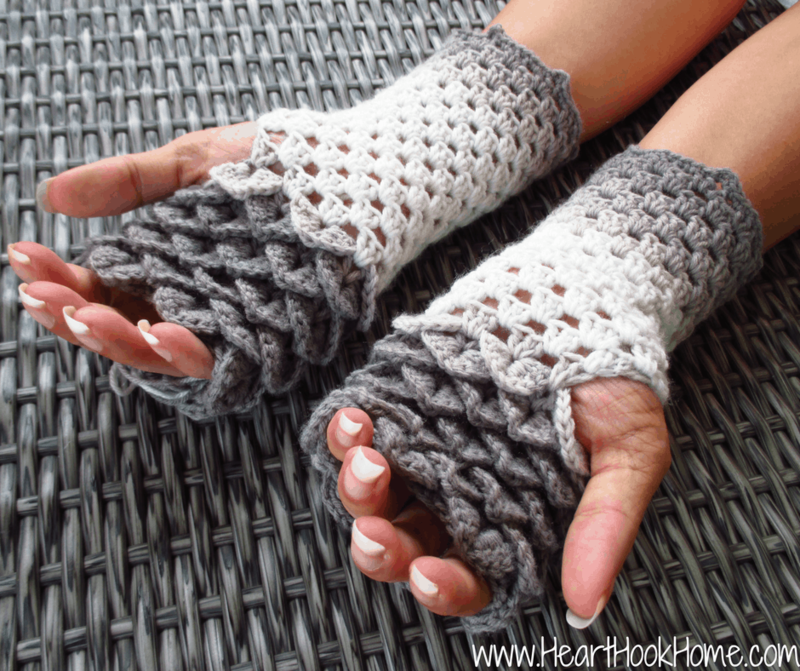 Can you tell me the brand and color of the yarn used on the grey and white pair. Hi! I used the Baby Bee from Hobby Lobby. I can email you a photo of it if that would help? It is Hobby Lobby, Baby Bee Sweet Delights, in Grey Multi. I could have used one skein, but I bought two so that I could better control the colors. Hope that helps! I'm not sure that it can be found anywhere else. :( Do you have a store nearby that you could call and request it? The color is called Grey Multi. I'm sorry I'm not more help!